The first go-around was a blast, so let’s do this again, shall we? 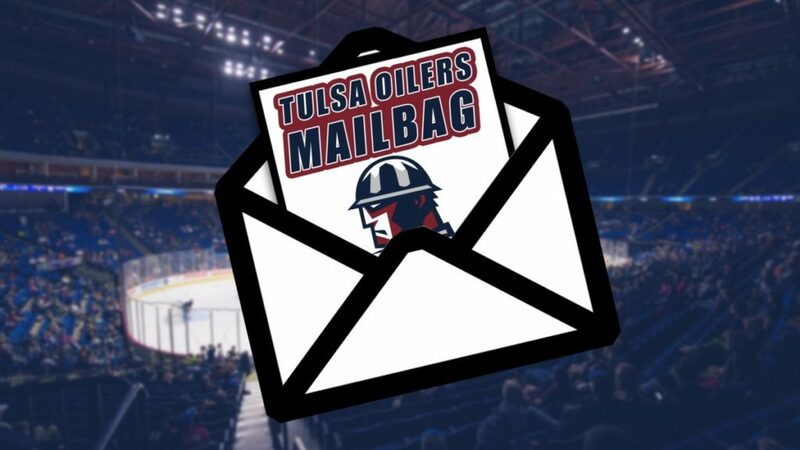 Time for the second edition of the Tulsa Oilers Mailbag, where you ask anything that’s on your mind, and we do our best to answer it. Hopefully this is both fun and informative. The success of the Mailbag depends entirely on the participation of you, the fans. Enjoy! JP: It looks like the Oilers will again face-off against their Stonewolf Casino Cup rivals, Wichita, this year in the preseason. Tulsa will likely travel up to Wichita for an exhibition game (or two) the first weekend of October. Last year there was a large number of Oilers fans who made the trip to see Tulsa come away with a win. Stay tuned for details. JP: The trade was to free up space as we expect a goaltender to come to Tulsa from the Blues affiliation. With that being said, sometimes teams will bring in a third goaltender for Training Camp just in case one of the other two gets injured. Usually teams will have three goalies in camp if two of them are competing for a job, but I don’t see that being the case. The best scenario in which the Oilers would carry a third goalie during camp is if Devin Williams and/or the Blues prospect are still in AHL training camps when Tulsa’s camp starts. There’s always an overlap. JP: It’s no secret by now that Coach Murray has retained many of the key pieces from last season’s team (some we’ve already announced, some to be revealed later in the summer). But what about the newcomers to green country? I think there’s a good mix of speed, skill and grit from the rookies looking to make this team. Zach Todd is expected to be a nice asset to the Oilers’ blue line, especially from an offensive standpoint. Hopefully he’ll be able to contribute to the power play as well. Scott Cuthrell was a star at the Division 3 level with Nichols College (in Massachusetts). For comparison, he’s similar in stature to Garrett Ladd and Roman Ammirato (who both also played Division 3 college hockey) The rookie forward was also the captain at Nichols. We have a couple of new-to-Tulsa, well-known ECHL veterans to announce yet, who I think fans will be really excited about as well. JP: Charlie Sampair. I don’t think anybody expected him to do what he did last year. Going from 5 goals in 4 years of college, to 3 goals in Alaska his rookie season….to 30+ goals for the Oilers in 2017-18? He likely earned himself an AHL contract with those numbers. Sampair has NHL speed right now, in my opinion. If he can make an AHL roster and duplicate what he did at this level, I wouldn’t be surprised to see him make it to the NHL within three years. With that said, Tulsa protected Charlie’s ECHL rights, so if he plays at this level in 2018-19, it will be in an Oilers uniform. JP: It may be true that the Oilers’ power play struggled for a second year in a row, but the good news is: it’s a new season. Every year is different and every Opening Night a fresh start. A lot of what makes a power play successful is the chemistry of the five skaters on the ice. I have no doubt that each of the last two Oilers teams had enough talent and a good power play system in place. But both teams were near the bottom in the ECHL on the man-advantage. As a wise man once said, “Perfecting the power play is like training a cat.” Let’s hope we have some more success in that area this year. “We have missed the playoffs by a matter of points in 2 of the last 3 years. What will it take to get us over that hump this year? JP: In 2015-16, the Oilers were in a good position to make the playoffs, but ultimately missed by 1 point. Some may point to the fact that Tulsa had several players called up to Manitoba in a single week late that season, and that might be partially to blame. But if you remember, the Oilers went on an 8-game skid in the final month of the year, which was crushing. Last year, Tulsa never had a drought that lasted that long, but still missed by 2 points (1 win). Aside from a tough final week (0-3-1), the Oilers went winless in the shootout (0-10) in 2017-18, which meant 10 points were left on the table. Last year’s team had all the pieces to make the playoffs, and nearly pulled off an improbable climb from 11 points back at the All-Star Break. Ultimately, a fast start to the season and making the most of opportunities to pick up every possible point will bode well in a tough division. I’m confident this team can do it in 2018-19. JP: First of all, let’s talk about the sticks. Most hockey players tend to like their sticks cut to a certain height, where when they’re standing on skates, the end of the stick comes up to between their chin and nose. Obviously this means taller players generally have longer sticks (Mike McKee was 6’5 and Kale Kessy was 6’3 on last year’s team, for instance). Defenseman sometimes like their sticks cut a little bit longer for reach and for a bigger slap shot, while forwards on occasion like their sticks cut shorter for stick-handling purposes. As for the future roster, there will be a good balance of size and speed this year. The Oilers will have a good mix of skill players and guys who can play that tough, physical game. JP: Many might think that the annual “gauntlet” road trip, this time featuring seven games in 14 days from Dec. 7-21 starting in Toledo and ending in Kansas City would be the toughest stretch of the season. However, the Oilers have a home stand consisting of five games in six days in January that will be exhausting. Tulsa hosts Allen Friday-Sunday (Jan. 25-27) before taking on Utah Tuesday and Wednesday (Jan. 29-30). 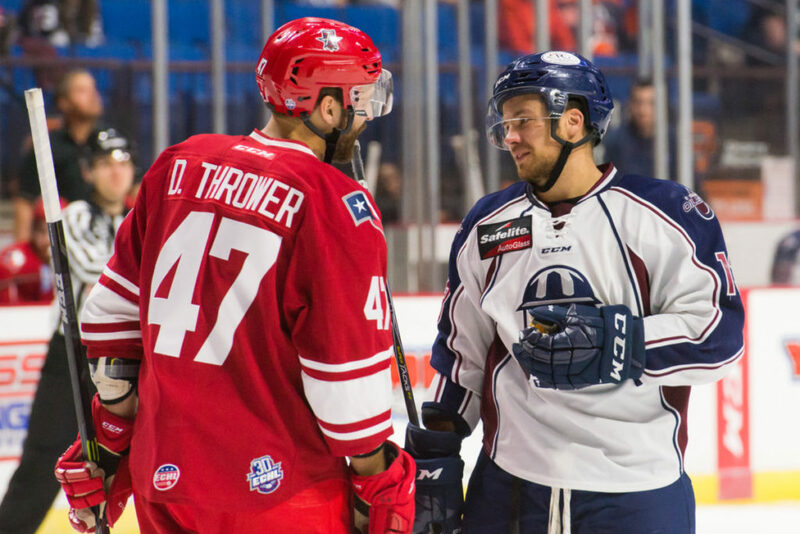 Oh yes, after the game Wednesday the Oilers travel a long way to Toledo for a game Friday, Feb. 1 against the Walleye and another Saturday Feb. 2 in Cincinnati. That’s seven games in nine days. Talk about tired legs. Overall it’s a tough schedule, but not for those stretches of games, rather the sheer volume against Mountain Division rivals. JP: While it’s way too early to tell, I’m going to say yes, with respect to the top teams of recent years outside the Mountain Division (see: Toledo, Florida, South Carolina, Fort Wayne) of course. The Colorado Eagles won the Kelly Cup each of the past two seasons as champions of the ECHL playoffs, and the Allen Americans held the title the two years prior. That’s an impressive run for the teams in the Oilers’ division. Obviously Colorado has moved up to the AHL, so the rest of the division can breath a sigh of relief. But the Americans always reload and I expect no less this year. I thought the Idaho Steelheads were the favorites last April, and should be a very good team again this season. You can’t count out Wichita or Utah, who I expect to be tough again, and Kansas City is looking to get back into the playoffs for the first time since their Brabham Cup season three years ago. Oh, and don’t count out the Oilers. I have a feeling this will be a special season in Tulsa. 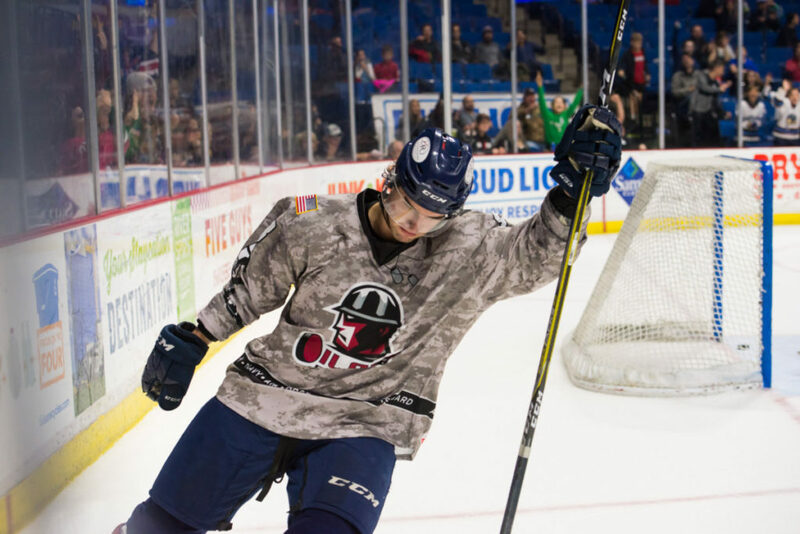 That will put a wrap on our second Tulsa Oilers Mailbag of the summer. Looking forward to doing it again in two weeks. Submit your questions or comments about the mailbag early by sending me an email at john@tulsaoilers.com or tweet me at @john_m_peterson. Thanks for your support, and Go Oilers!